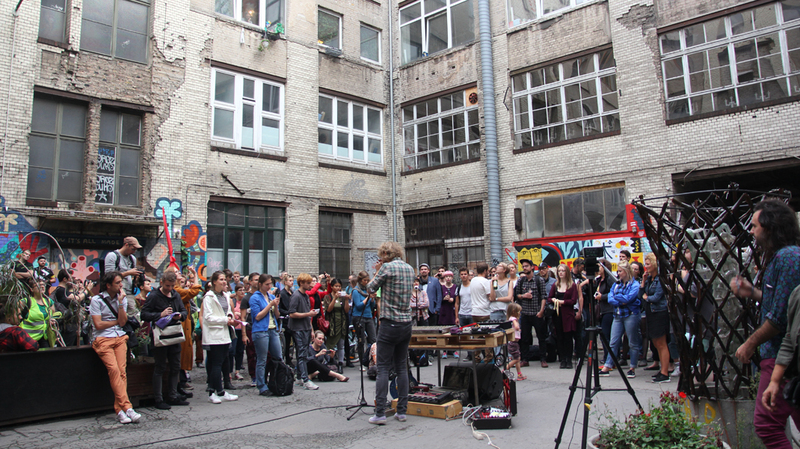 Art Spin Berlin – open call. Art Spin Berlin is looking for project submissions from Berlin based artists working across all disciplines (visual arts, installation, new media, sculpture, film & video, performance, dance, theatre, music, etc.). Art Spin Berlin is looking for project submissions from Berlin based artists working across all disciplines (visual arts, installation, new media, sculpture, film & video, performance, dance, theatre, music, etc.). In 2018 the curated bike tour will take place on Saturday, July 14th in the district of Pankow (including Prenzlauer Berg, Pankow, Heinersdorf and Weißensee). Submissions should be site-specific to the district of Pankow. We are also looking for interested spaces and locations in Prenzlauer Berg, Pankow, Heinersdorf and Weißensee to collaborate with us either by hosting one of our selected projects, or proposing one of their own. Spaces don’t have to be art related, but should be able to accommodate a large group of approx. 500 people on their premises. Deadline for applications: Sunday, April 15th, 2018. What is Art Spin Berlin? Art Spin Berlin (www.artspin.berlin) is inspired by Art Spin Toronto, a multi-disciplinary bike tour that produces new creative content at a range of unconventional locations for viewing art. The aim of the tour is to bridge the gap between the art world and the general public and to create an accessible, inviting and fun event that is also educational and critically engaging. Art Spin Berlin follows this mandate and applies it to the city of Berlin where both cyclists and art are plentiful. Our tours in 2014, 2015 and 2016 took place in the districts of Lichtenberg, Treptow-Köpenick and Mitte (Wedding & Moabit) respectively, and were attended by an average of 400 cyclists per tour. In 2018, the tour will take place on Saturday, July 14th, starting at 5 pm (17:00) and last roughly 4 hours. Artists must also be available two weeks later (Saturday, July 28th, 2018) in case of extreme weather in which we must postpone the event. Projects must be easily viewed/experienced by a large group of approx. 500 people. Performances and other time-based projects should last no longer than 20 minutes. Here you can find a preliminary route, however we are open to alterations based on your proposal. Keep in mind works may need to be altered in collaboration with the artist depending on our tour route and requirements from city authorities. For inspiration, we recommend you read our 2016 and 2015 recap and watch our 2015 and 2014 videos. Thanks to the generous support of the district of Pankow, we are able to provide successful projects with a 500 € artist fee and 200 € for materials. Important: Please title your submission “Art Spin Berlin submission 2018” and submit proposals by e-mail to projects@artspin.berlin in either English or German language. Deadline: Sunday, April 15th, 2018.